GLA Construction LLC was started in August of 1999 by husband-wife team Ricky and Joann Eaves in Sulligent AL. 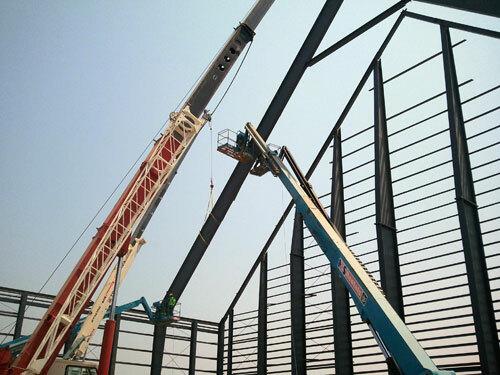 With over 40 years of experience in the steel building industry, we would love to help you with your steel building and construction needs. We have a passion for serving others and we want your project to be a success. You may ask what makes GLA Construction different from other construction companies. We think our team said it best: “Passion.” Passion runs through us as well as the teammates. We have team members that take pride and ownership in the company. We serve the commercial and industrial markets with all types of construction solutions. By helping the end-owner through the process, from design to completion, it allows us to be more personal and interactive with our clients as well as build them a quality structure that will suit their needs. We are licensed general contractors in the states of Mississippi and Alabama. We have been locally serving the Columbus, Starkville, and West Point communities for decades.